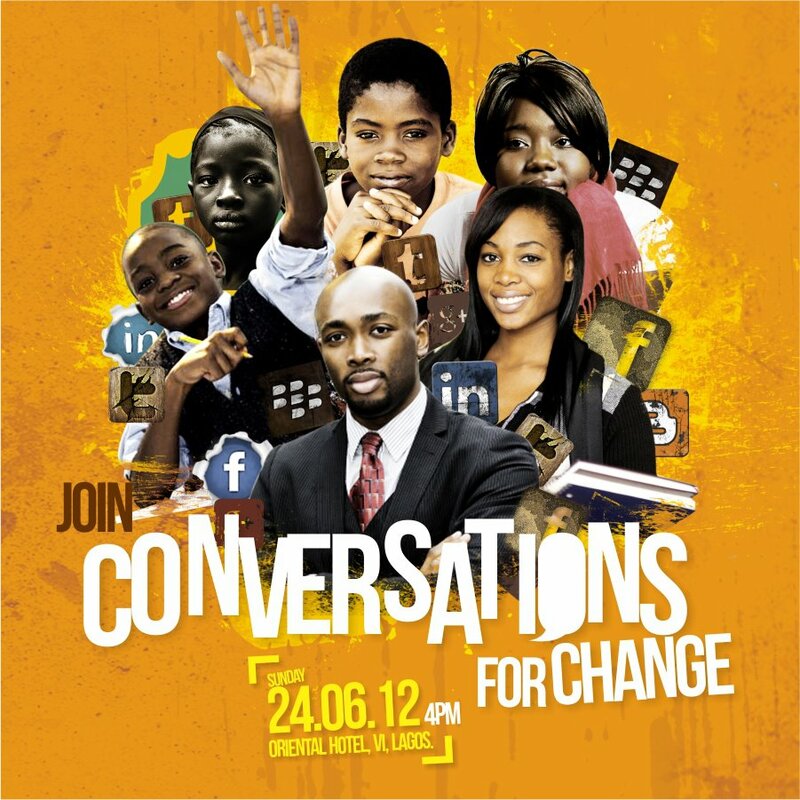 The Creative Nigeria Project in conjunction with The Future Awards, Bellanaija and Rise Networks, and powered by The Waterbrook will like to invite you to join the ‘Conversations For Change’; a unique platform for young upwardly mobile professionals from diverse sectors, rubbing minds on how they can participate in social development initiatives and contribute to change. · Bayo Owobiromo, the guy who tells the story of the poor through captivating images, and many other surprise speakers with compelling stories. It’s about sharing inspiring life stories and experiences from ordinary Nigerians burdened with visions of a better world, united by a shared passion for change. They establish that advocacy is not merely armchair criticism, but driven by creative and constructive programmes, undaunted by limited resources to alleviate the plight of the suffering masses. We are about Nigeria; not as it is, but as it should be. Venue: The Oriental Hotel, Ozumba Mbadiwe Street, Victoria Island, Lagos.